A beauatiful message from Grener and UFOG. You can either read or listen to the mp3 recording. Enjoy! Greetings. I am Grener of Ashira of Neptune, President of InterGalactic Council, Honorary Past Commander of the Unified Forces of the Outer Galaxies. Welcome people of Earth, inhabitants of Gaia. Welcome to this time of change and of magnificent unfoldment of the plan of the Mother upon your planet. We come to assist you, this wonderful hybrid race that you will come to know the fullness of your being and your abilities. You know how that occurs? It is when you set aside war. We have learned this lesson millions of years ago. And it is time for this planet with the assistance of many but particularly our friend and ally, Archangel Michael. It is time for the entire planet to come to know that the peace and the balance is the way to enlightenment. And enlightenment is the road to the fulfillment of all wholeness, of all beings, to the potential of why you have come. And why you have come is simply to know joy and love in form. You are the most fortunate collection throughout many, many Universes. You have self-selected yourselves to stand upon this Earth at this incredible time. But it is not just to be the observer. Yes, there are times to be the observer and we know that well for we have been observing, except for the gifting of technology and that we have been observing you for hundreds of years helping where we can but not interfering. But the time of being the observer my friends is over. And yes, there is preparation underway, for I have spoken to you in your Sedona about our May arrival, but there is work to be done in the consciousness prior to that, the removal of fear. For what is fear? It is fear of something different. It is fear that you are not strong enough in and of yourself to deal with an outer reality. And that is the most profound illusion of all. So we seek with you to remove these illusions of fear so that you will come to know and to share with those who are awakening the knowledge that all are brothers and sisters. There is no separation. They’re not multiple grids, there is one. And we are as connected to you as your hands, your fingers, and your heart. We are eager, not only for you to really assume your role within this InterGalactic Council but we are eager for you to come to know us, to open your hearts to us as we have already to you. You know, there is one Universal truth and it is true for humans and it is true for all beings. You yearn for love. And so do we. Why else would we have come so far to witness the unfoldment of love? I have a request of each of you as President of this InterGalactic Council and as your friend and father: let this be the time of courageous, meaningful action. There are many actions that people take every day and they scurry hither and yon. They do not even have the organization of the ant colonies. That is not what we mean by action. Courageous speaks for itself. It is to be fearless. It is to be the truth of who you are and not hiding in the shadows pretending “Oh! I’m not one of those people who believes in ET’s; I’m not one of those people who believes the Earth will change.” Why would you not declare yourselves as the forerunners, the pathfinders, the teachers of Earth? That is what we mean by courageous. Not foolishly putting yourself in harms way but being courageous enough to speak your truth to your friends, to your neighbors. Why are you hiding? Step forward. Meaningful action is not just doing something by rote. Meaningful action is part of the key of your creation. It is doing it with the clarity of your entire being, your mind, your heart, your emotional. You are already anchored in the magnificent pink radiance of your pink diamond. Do not waste your actions or your words. Do not waste your energy, it is too precious. And I do not mean that there are not times to sit and relax and stare at the sky, that is one of our favorite things to do. But when you are in meaningful action you are doing things that are in alignment, not only for your unfoldment but in direct alignment with the heart of Mother/Father One, and with your unfoldment of that plan. So yes, I ask you, get busy. Not in people’s faces but in those gentle conversations, conversations that are often completely communicated by a smile or a nod, with two fingers to the heart, a look of encouragement to a young child or to someone who is at the end of their journey. We are always surprised at how often the human collective tends to sweep old people under the rug. Now we live for thousands of years and yet our old ones are revered because they are the storehouse, the warehouse of the knowledge and the history of our journeys. Human beings are very quick to forget their heritage and their journeys whether it is one year or one thousand. Treasure that history because it has made the collective who you are. It has brought you to this point, not only of realization but of the shift, the shift to a new paradigm, new realities, anchoring the higher dimensions in the 3rd dimension in physicality. This has never been done. That is why we call you the pathfinders, the adventurers. This has never been done. To break not only the veil but the dimensional grid and to access and bring everything forward, that was the Mother’s plan that got lost in the density of illusion. But now that density is gone. It’s not a matter of clearing, that is over. Yes, some of you are still in the process of differentiation, of letting go but that is very different. The illusions are gone, the separation is gone. I cannot even begin to tell you how excited we are and how we yearn to walk with you. We all walk with you already, you know. So what I mean when I say that is that for you to consciously know us and for us to actually appear in physicality. We will mostly assume human forms simply because it is adapting to the climate and to the energy field of Earth. The human is a very good adjustment for us to make. But we want to be with you. There is a star fleet of millions whose collective desire is to be with you, to help you, and yes to share with you the experience of love on Earth. It is the promise of Jesus, it is the promise of the Mother, and it is the gift of the Father’s golden flame. Let us begin this year together, my beloved friends. We send you bounty, abundance, courageous meaningful action and clarity. Thank you. I step aside for our Father. Farewell. 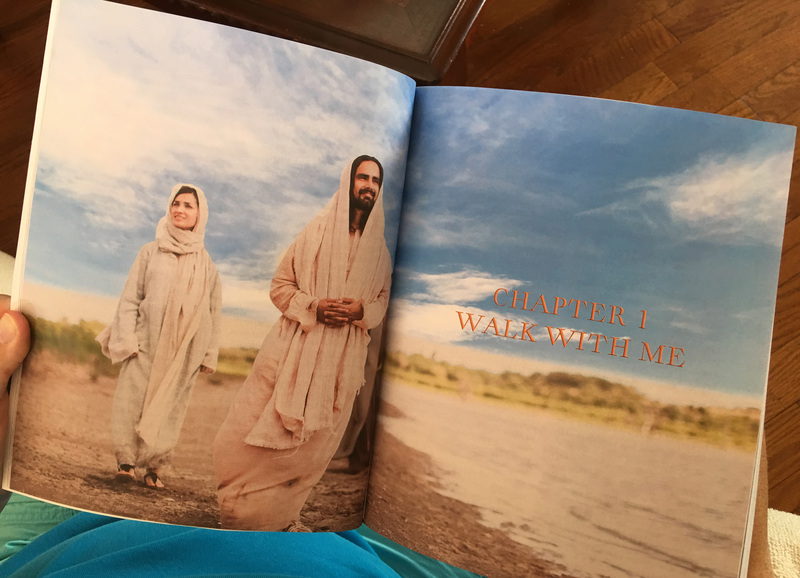 Jesus Sananda ~ Please Come And Walk With Me!